lemoncurry 1.5.0: now with indieauth! 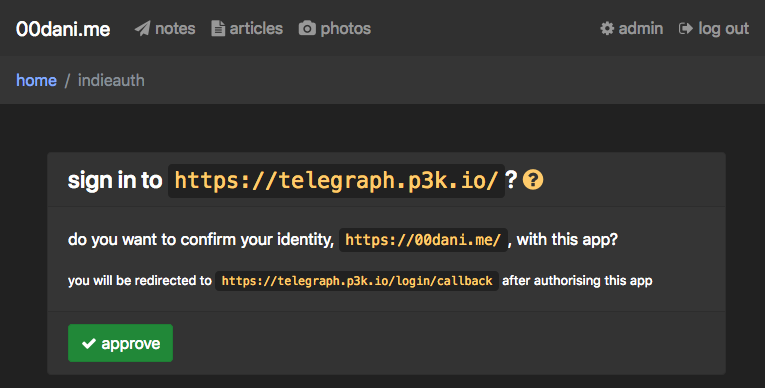 yep, lemoncurry 1.5 can act as its own indieauth-powered authorisation server, which means i can log into various indieweb sites as 00dani.me! cool beans??? what's new in lemoncurry 1.4.0? ?